COMPETITION: Win the unbelievable final season of Hell on Wheels on DVD! The railroaders are returning for a last swansong as Hell on Wheels season five part two comes to DVD on April 17th. Hell on Wheels tells the explosive story of the construction of the First Transcontinental Railroad in the United States in the late nineteenth century, a period known for corruption, greed, violence and murder in the Wild West. It follows the lives of the labourers, mercenaries, prostitutes, surveyors and all those who lived in the mobile encampment of workers known as ‘Hell on Wheels’. 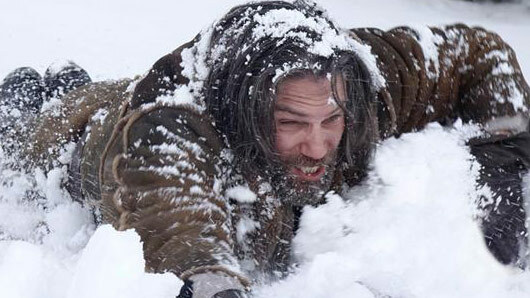 In one thrilling last ride, series hero Cullen Bohannon (Anson Mount) is hired by Central Pacific Railroad to continue the transcontinental railroad eastward over the Sierra Nevada Mountains and across the Utah Desert. Enigmatic new characters and dangerous terrain awaits him and the railroaders – can they survive this final push? To celebrate the release of Hell on Wheels season five part two on DVD, we’re offering TVGuide.co.uk users the chance to win one of five DVD boxsets! This competition closes on April 28 and is only open to UK applicants. Please see full Terms and Conditions here. 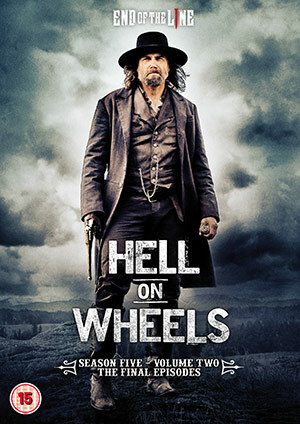 Hell on Wheels season two part two is available to buy from April 17th.